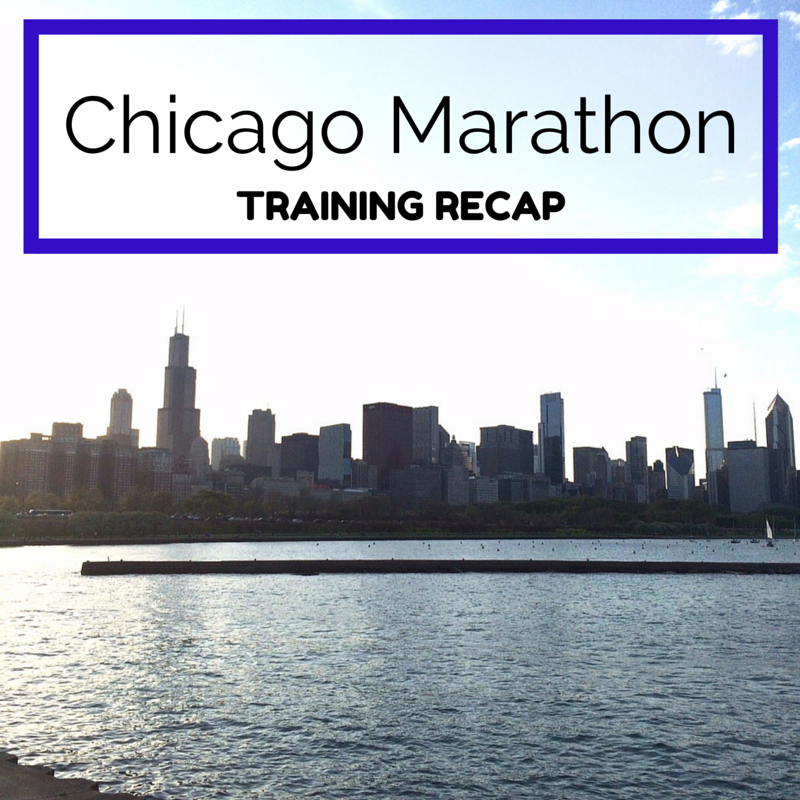 Last week training for the Chicago Marathon. I am excited (and nervous) to be training using the Hansons Marathon Method. In a nutshell, this training is based on the concept of cumulative fatigue. You train your body to run often so that you are frequently running on tired legs. The idea is to run this way so that during the last miles of a race you are prepared to push through the final miles. These plans are 18 weeks and have you running 6 days (easy, speed/strength, tempo, and long runs) a week with one rest day. Great evening for a run! Ran faster than I wanted to but overall felt great. Below is a picture of this year’s medal. Not sure how I feel about it. I don’t love it but I find it to be plain and boring. 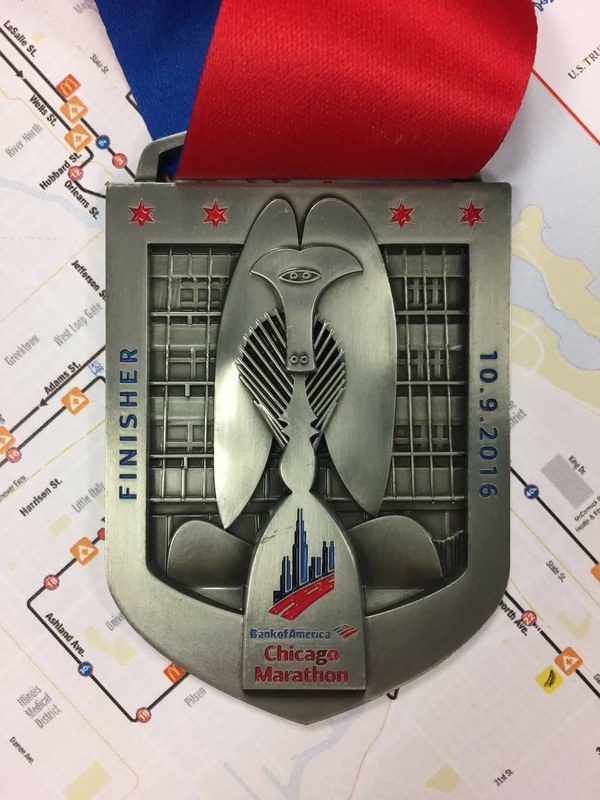 It features an engraving of the original starting line of the marathon, which once began next to the Picasso statute located in front of the Richard J. Daley Civic Center. Here is the one from last year. 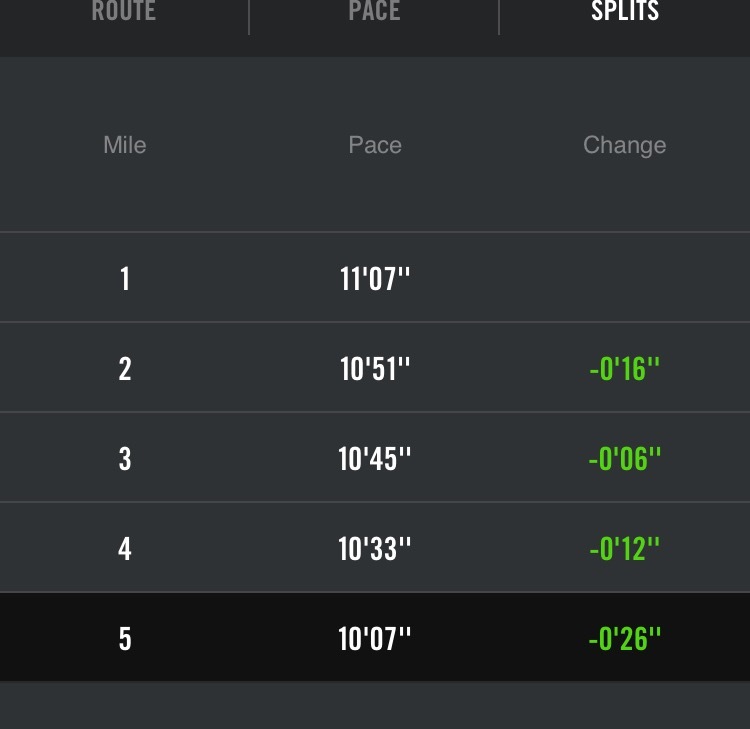 Took it slow today and ran perfect negative splits!!! After our building meeting I went back to the podiatrist for another cortisone shot. It was painful but my foot feels better. I went back because the bunion area in my foot was bothering me. Major carbo load begins today. 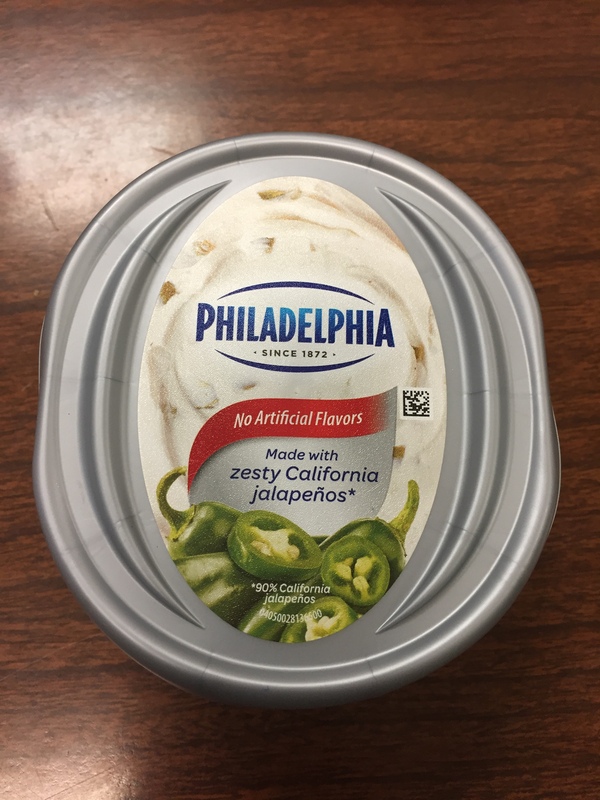 I tried this new cream cheese and it is delicious! 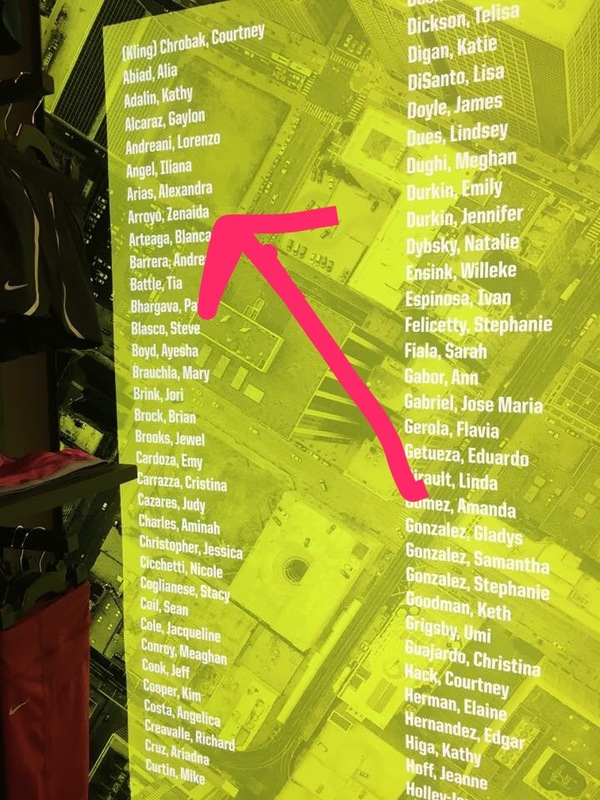 The group I run with had everyone’s name written on a wall. So cool to see my name. I went to the expo to get my bib. I walked away with a bunch of cool stuff. I also went to the KT Tape booth to get taped up. 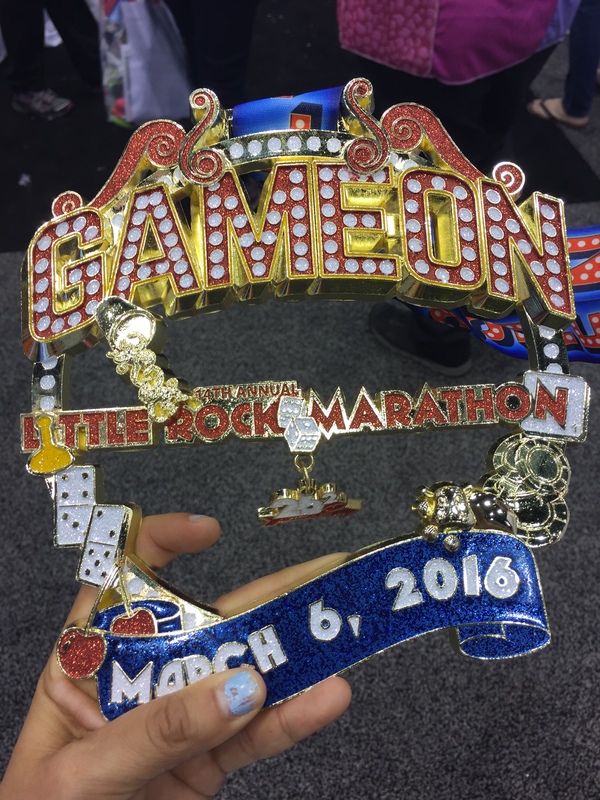 Love this medal for this year’s Rock Little Marathon! I saw Bart Yasso again. I purchased a Runner’s World calendar and he signed it for me. 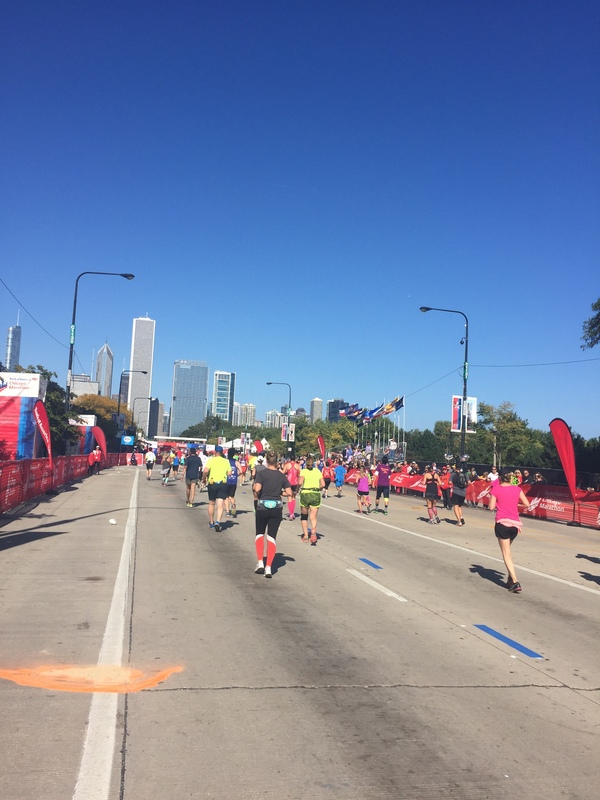 Chicago Marathon is done! Recap coming soon. 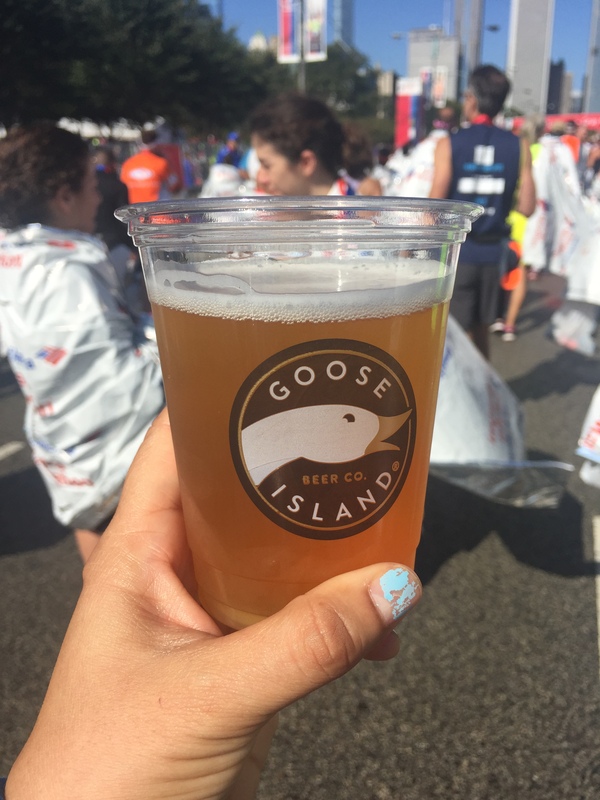 Spoiler alert: I got a PR and bettered my time from my first marathon 10 years ago. I had a meeting after school followed by an appointment with the podiatrist. She looked over my foot and I pointed out the pain and numbness. She told me I had a pinched nerve and asked me what I wanted to do. I told her I had a marathon in two weeks and that I could not run with my foot like that. She give me a cortisone shot. She also used a small blade to shave off more callous (I could not believe how much it was). My foot feels so much better. 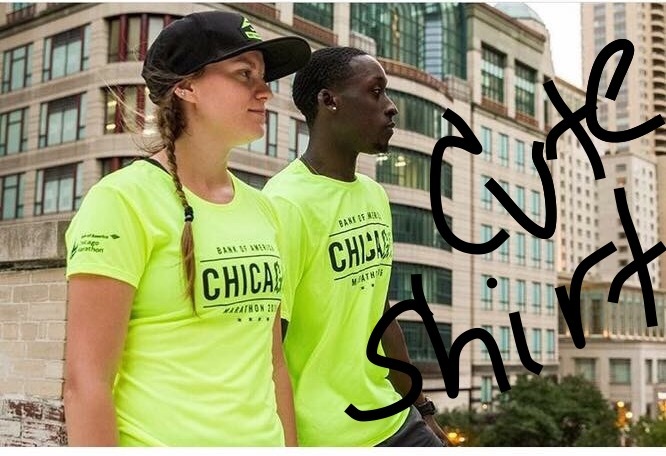 I received my Chicago Marathon confirmation. Yes!!! The podiatrist told me to ice my foot when I got home. Lola likes to take care of me. 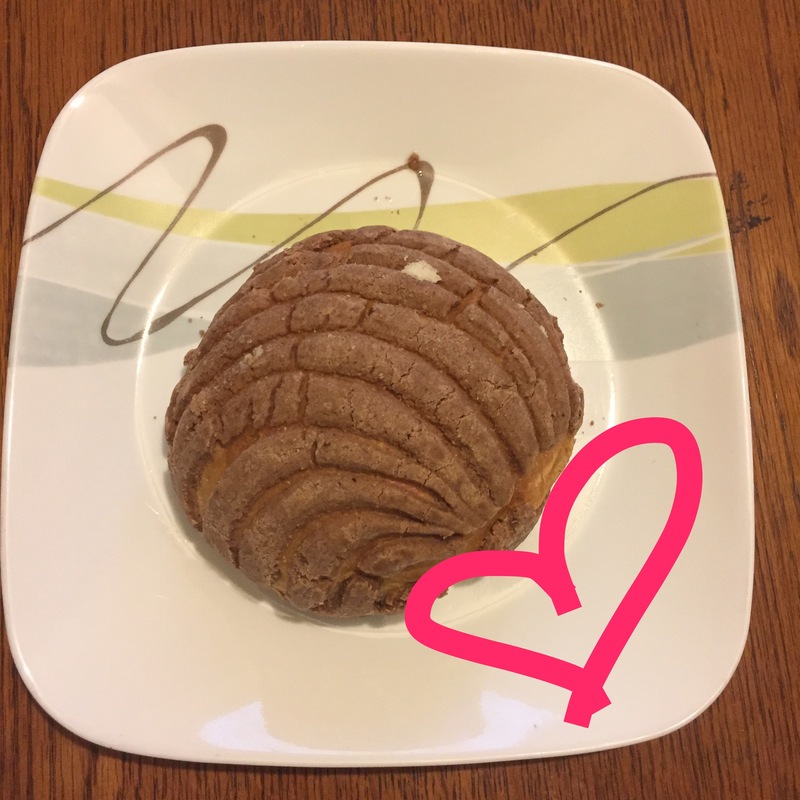 Sweet mexican bread is my favorite. I had this with tea and it was delicious. I love Fridays but I am always tired by then. Time to stalk the weather reports for next Sunday. No rain and no sun either. Please. Thank you. Later that evening I went to my cousin’s house because there was a get together to celebrate his wife’s birthday. It was fun! There was so much food! 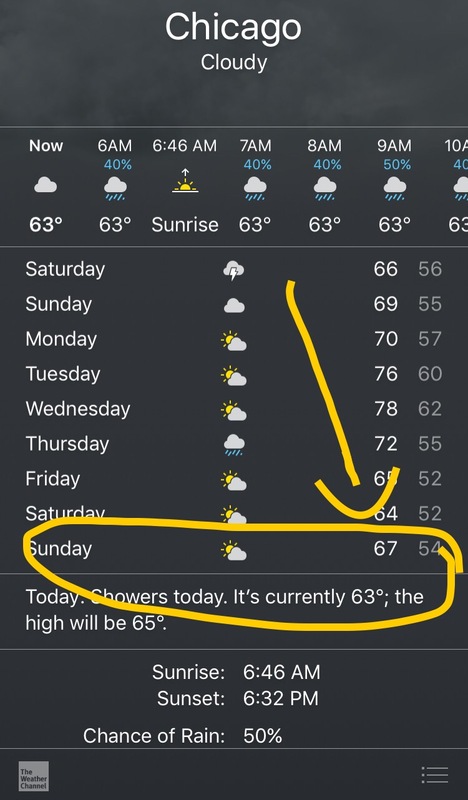 Cool weather with a chance of rain. I had a good pace going. Kind of too fast for our group but everyone was OK with it till the last mile and that is when we slowed down a bit. It did rain on our way back but it felt great running in the rain. I like this year’s shirt. 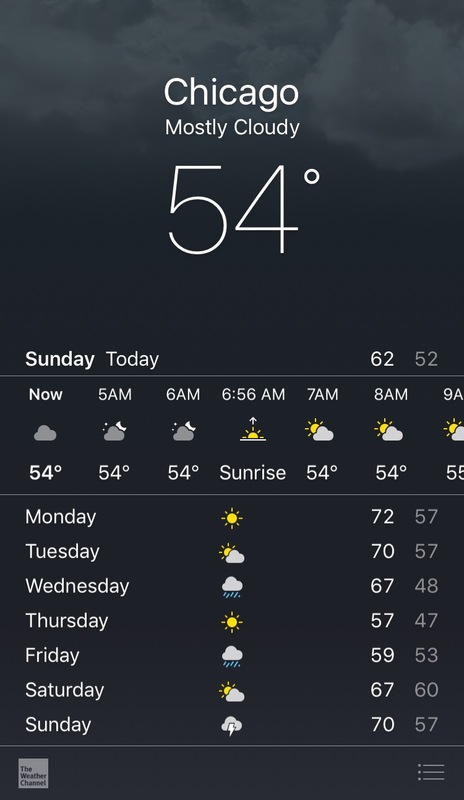 Better weather conditions for next week. 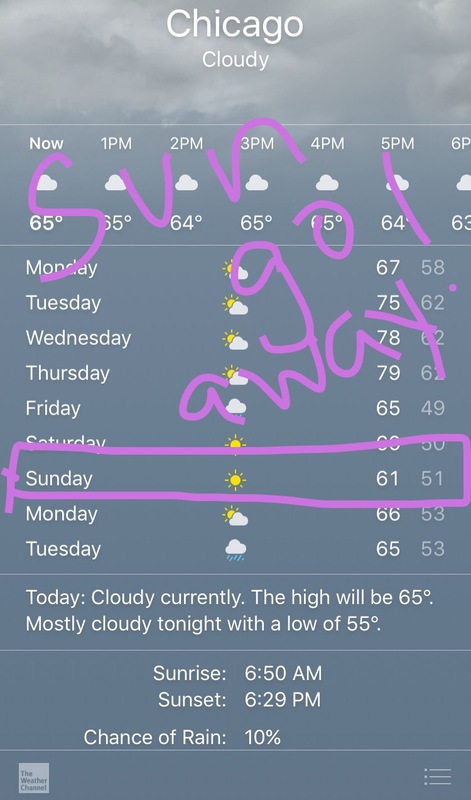 But what is up with that sun? Barely any running this week. Taper magic, right? 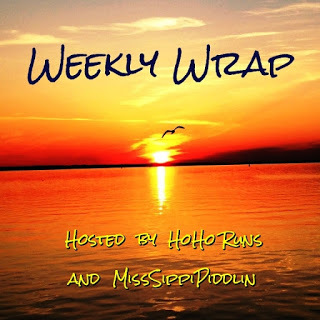 Next week is all easy runs – 6 easy miles on Monday, Thursday, Friday, and 5 on Tuesday. Piece of cake. A great evening for a run. Ran by feel even if it was a bit faster than I was supposed to. Earlier in the day I got a new pair of shoes…Saucony Kinvara 7. Aren’t they pretty? The first time I did this workout was on 8/23/16 @10:55 average pace. Today it was w/up and c/d @11:07. Recovery @13.02. I alternated a different song with paces of 10:10, 10:00, and 9:50. Overall, I felt great. I wore my new shoes and had some discomfort in my right foot. I did want to stop but I didn’t. 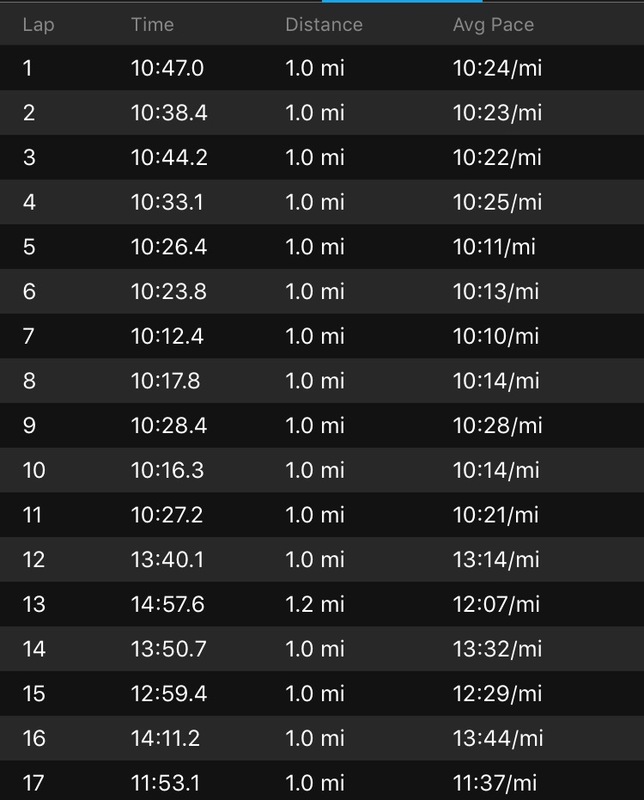 I did this run a little faster than in August and I am surprised my overall pace is just one second faster. Oh well. I got it done and I felt great and that is all that matters, right? I have an appointment with my podiatrist on Monday. The toes on my right foot get numb when I run. Sometimes they also get numb even when I am not running. So weird. I also have bad callus on my right foot and sometimes that makes it painful to run. I finally bought an electronic foot file from Target. My feet are smoother and it isn’t painful to run. My toes still get numb. 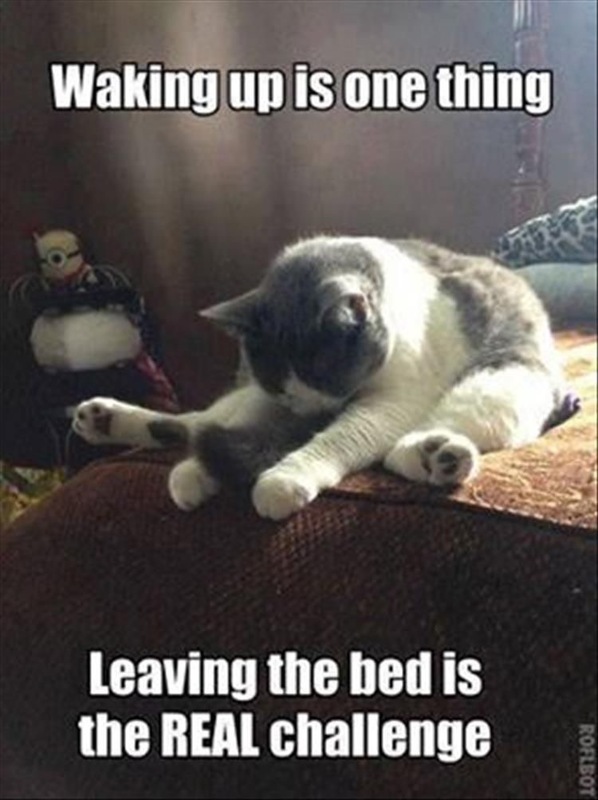 I woke up EXHAUSTED. I did not want to run but I did not want miss another run to pace my group. It was high 60s so ideally it was perfect weather. It was also overcast so even better. We ran slower than our normal pace of 11:00 which was fine with me. Towards the end I was tired and just wanted to be done with the run so I picked up the pace. 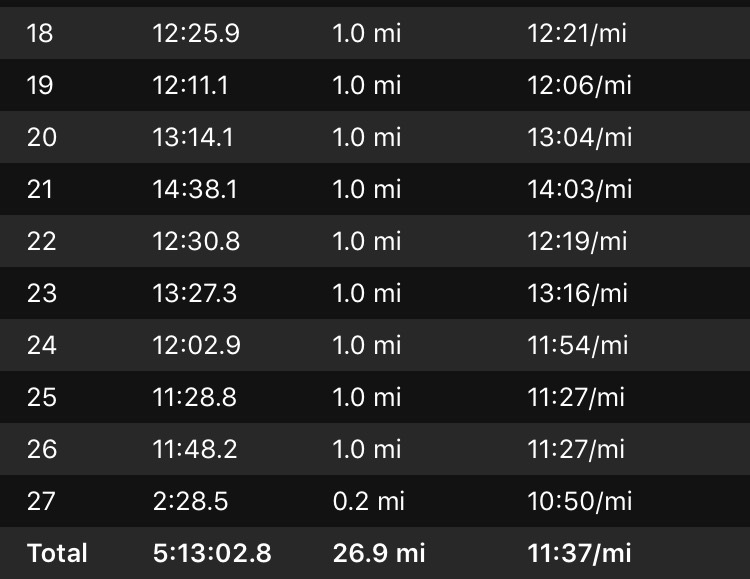 The last 5 miles were at negative splits: 11:34/11:33/11:26/11:17/10:17. 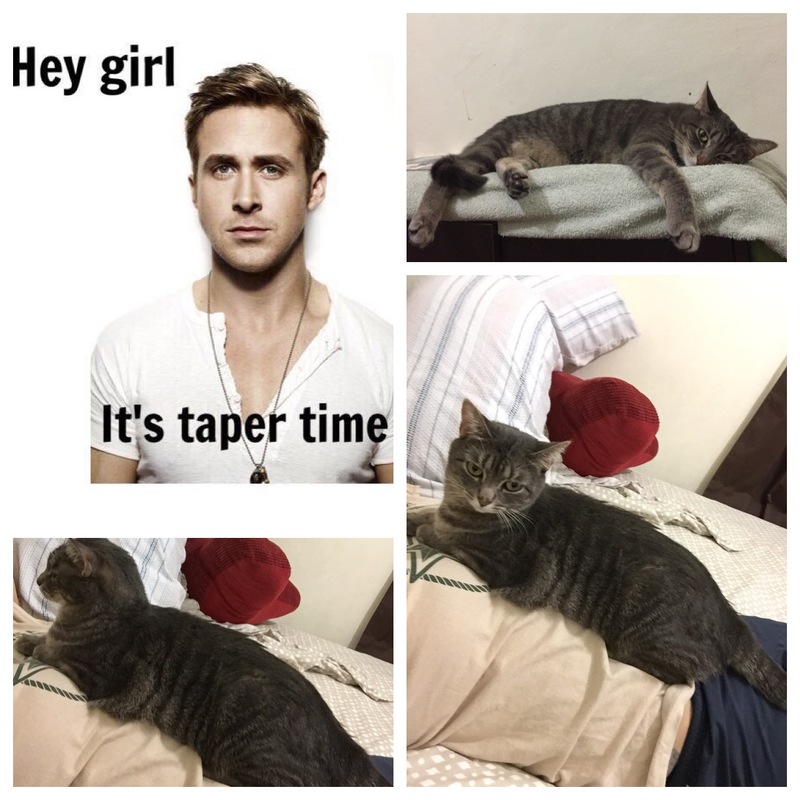 Taper time means stay home and bond with the cat, right? 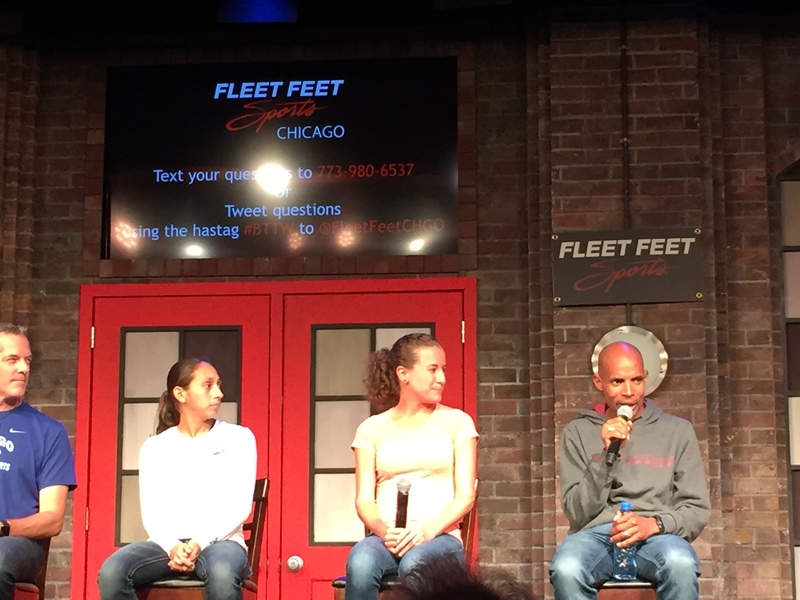 I went to Fleet Feet for the “Breaking Through the Wall” Marathon Seminar to see Meb, Amy, and Desi. Wow! It was great listening to them share their experience and advice. My favorite is Desi. There is just something about her and I adore her. Week 15 did not go well because I missed some runs. However, I am not going to worry/stress about it. It is taper time and there is no madness going on here. 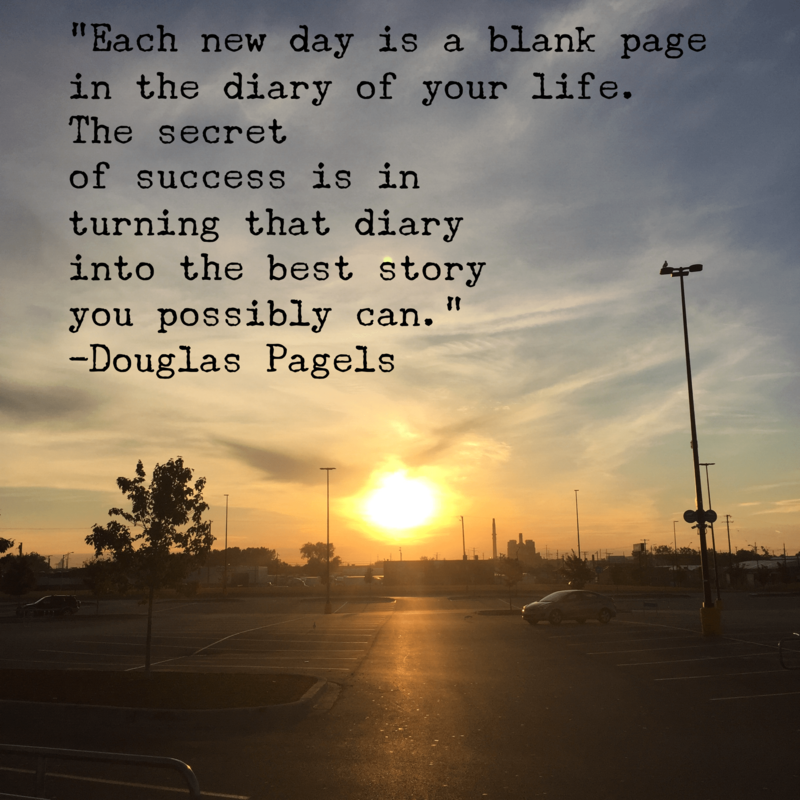 On of the coaches from my running group said it is “Taper Magic”. Next week I have 6×1 mile repeats and a 10 tempo run. We’ll see how I do. I had a meeting after school that I could not go to and instead stayed to work on stuff and get classroom ready for Open House on Thursday. I was home around 6pm but went to bed to rest for a few minutes. Finally got up and began running around 7. 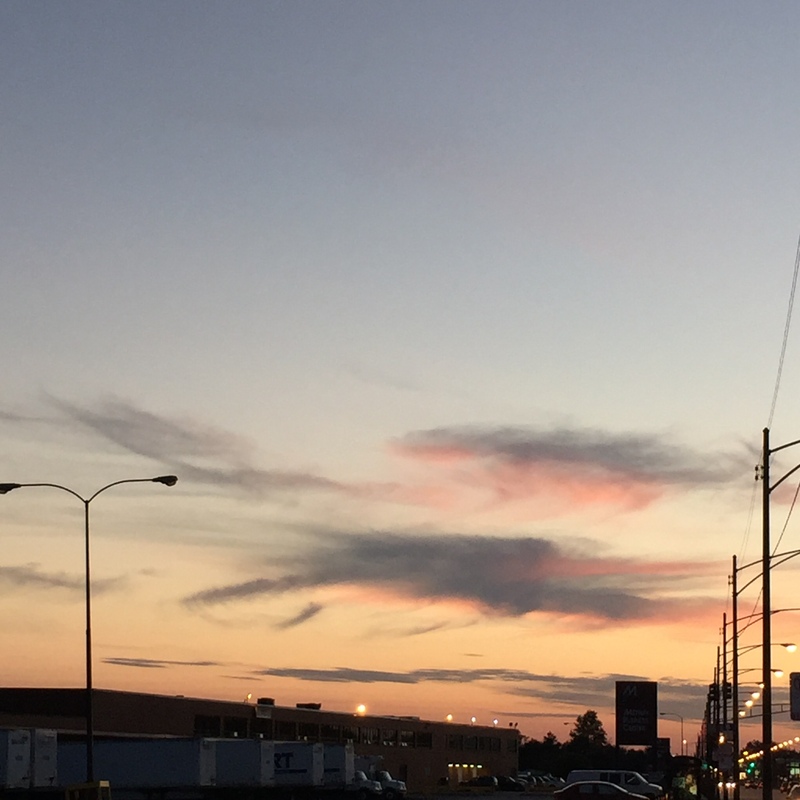 It is getting darker much earlier so I was able to run 5 miles. 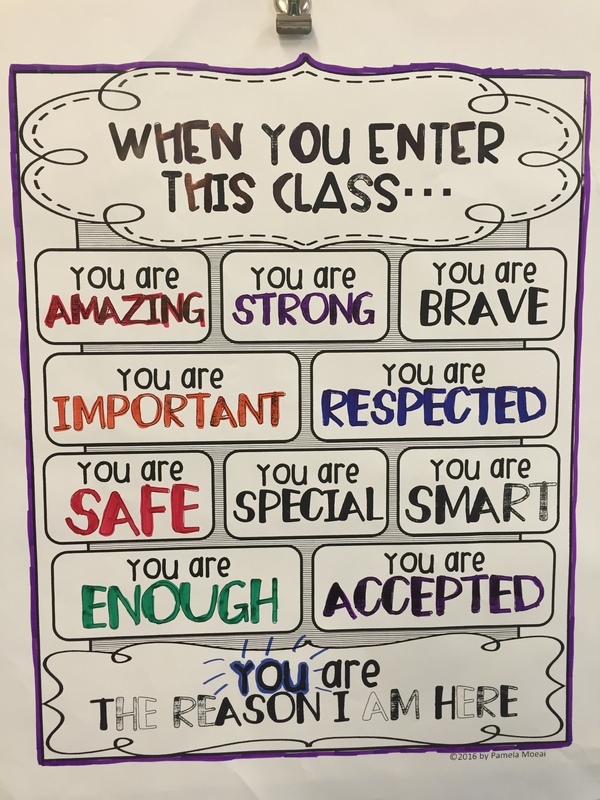 I stayed after school to organize my classroom and grade some papers. In the morning on my way to school I saw another gorgeous sunrise. I stayed late again at school for Open House. It went OK. I have 23 students and 9 parents showed up. I’ve learned to not worry about things that are out of my control. Parents knew about Open House in advance but if they did not make it then I will not stress nor worry about it. 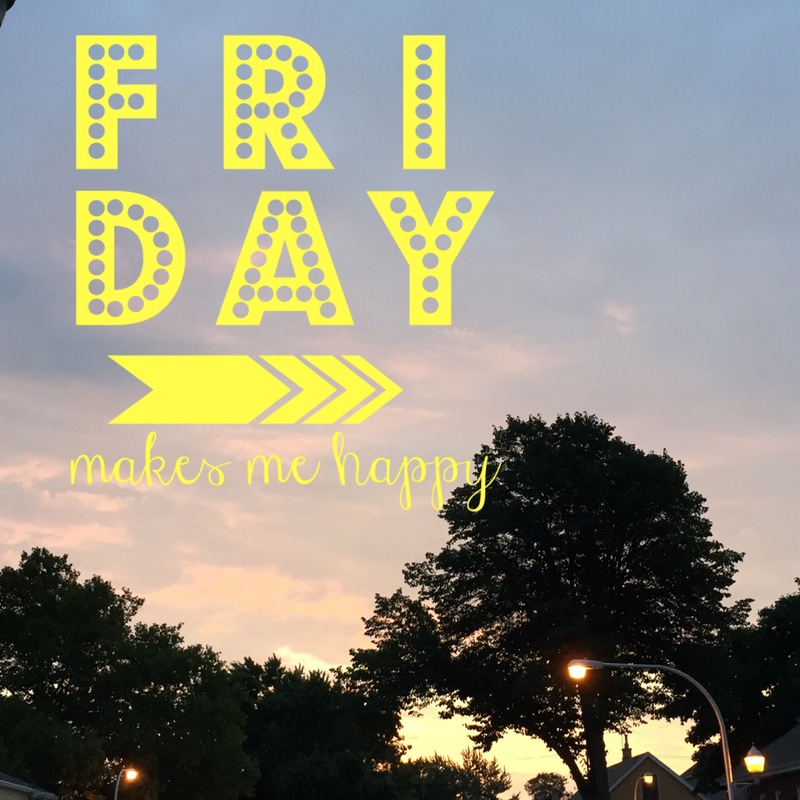 Have I mentioned that I love Fridays? I was not ready for this run. 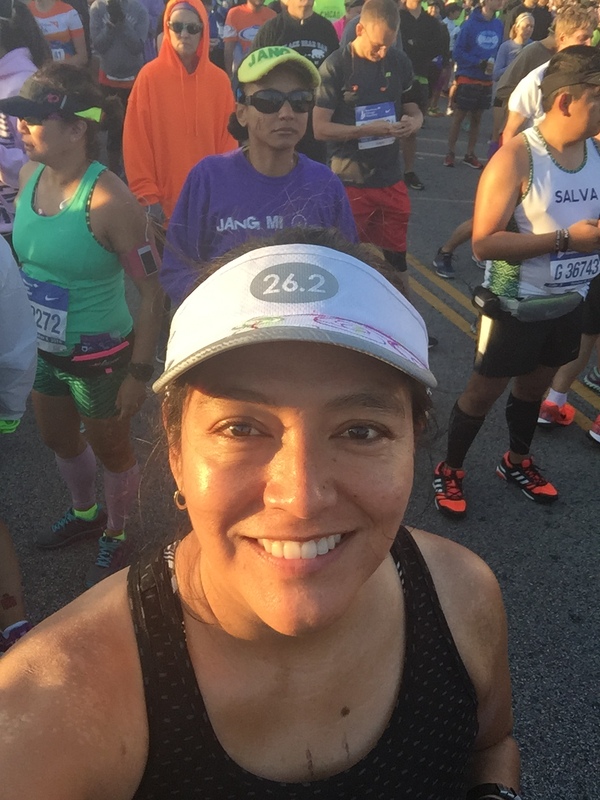 My training has not been going well these past two weeks so I knew I shouldn’t run 20 miles. I thought maybe 16? I would just wait and see how I felt Saturday morning. The next morning I was up at 4am and arrived at the start location at 5. I wanted to get there early to find a free parking spot and I did. I saw my previous coach and I explained my situation. She told me to do two loops of 5 miles and then see how I was feeling. Good plan! Deena Kastor was in Chicago and it was nice to hear her speak. 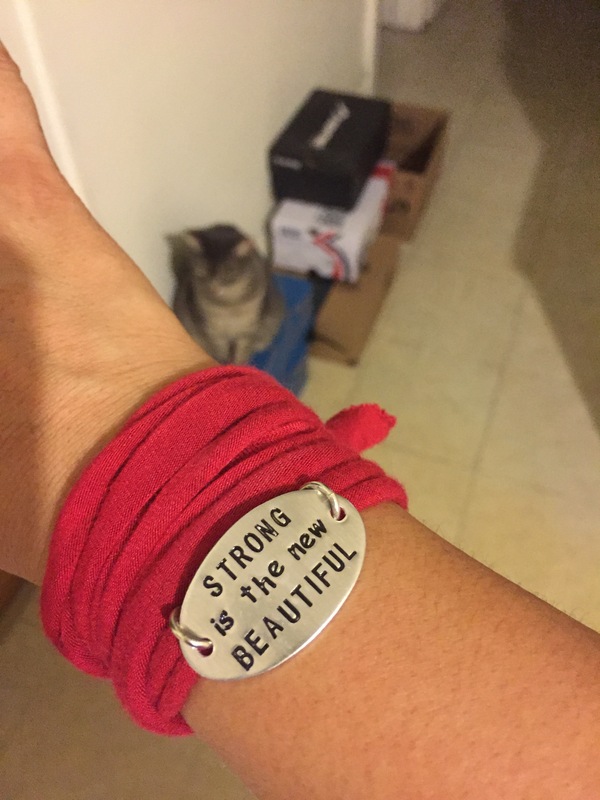 She got me motivated and excited for this run and for the marathon. Then off we went! It was a little humid but overcast. Still pleasant enough for running. I really wanted to do 10 but my knees began to bother me. Also, the bottom of my right foot near the big toe was bothering me too. Sigh, I stopped after mile 8 and then did my best to finish mile 9. I am still pleased with this run. I did the best I could and now it is taper time!! The plan was to run 8 and that is what I did. Gorgeous morning but sunny! I met up with a friend and told her I wanted to run slow. 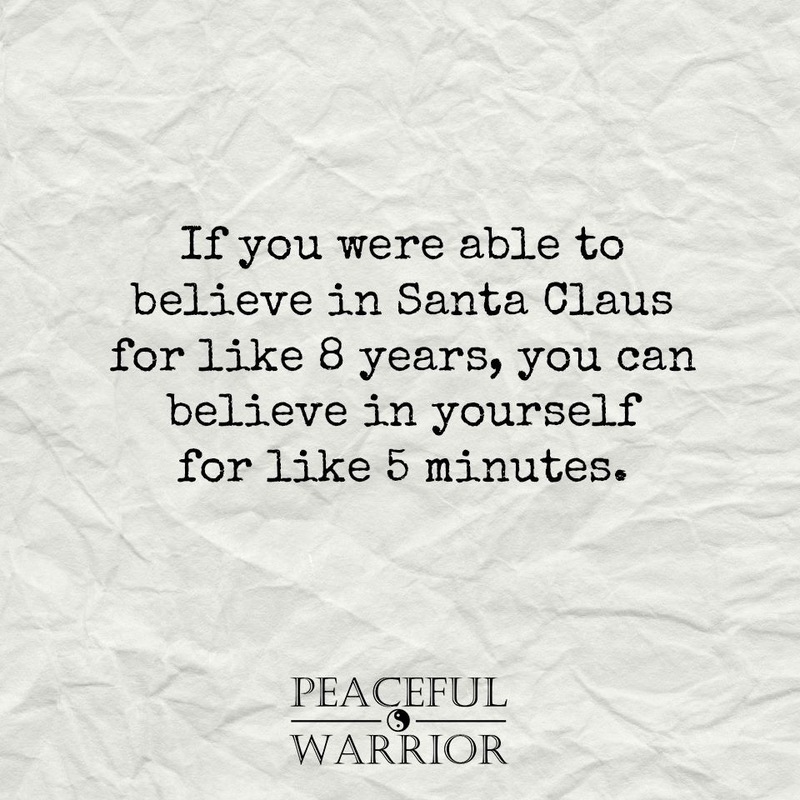 But we were running faster than I was planning to but I was feeling OK. I mean, it wasn’t easy but not too hard either. 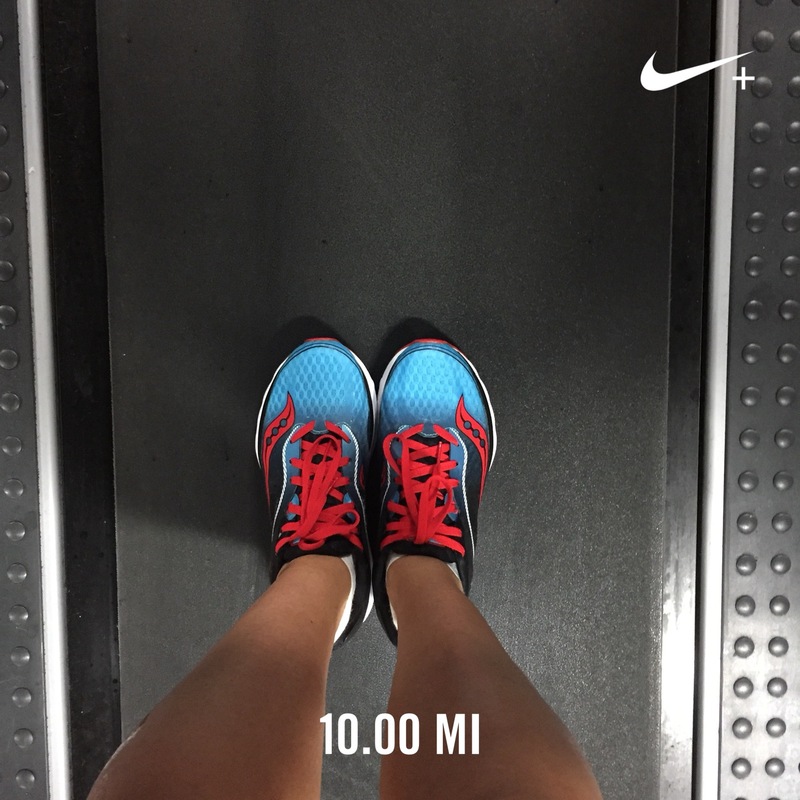 It felt more like a tempo run. I am pleased with how I ran and felt on this run. 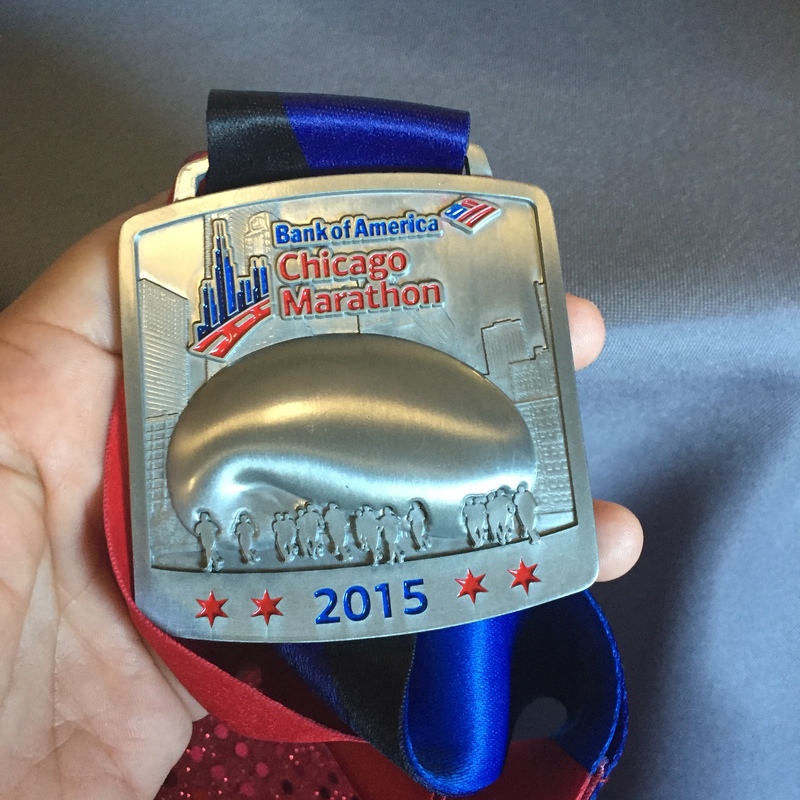 It was definitely a confidence booster and just what I needed to experience just weeks before the Chicago Marathon. 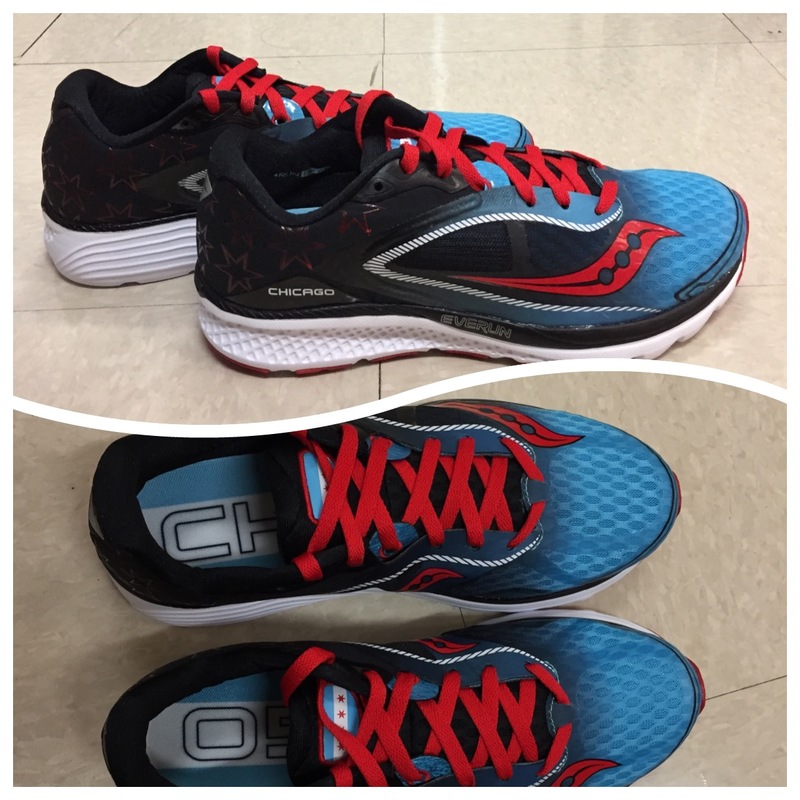 I’ve been having problems with my Brooks Launch 3 so I bought the Saucony Ride 9. I like them! Week 15 did not go well. I missed 3 runs as I was still in a funky mood and did not want to run. I am very happy with my run from today. Next week I have 4×1.5 mile repeats and a 10 tempo run. 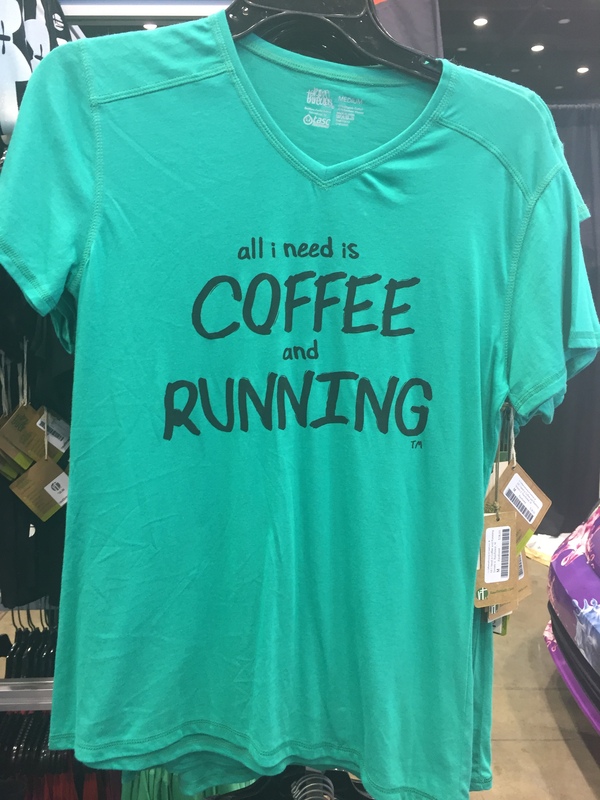 I am feeling better about running and with my workload so I am hoping to NOT miss any more runs. Let’s do this marathon!! !